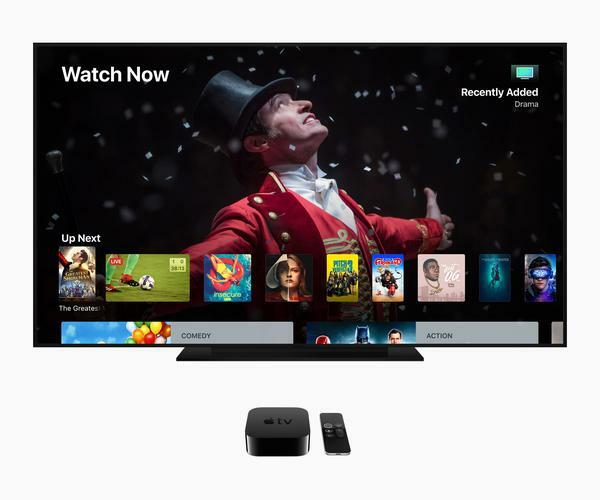 Apple has previewed tvOS 12, the latest operating system for its Apple TV media box. With tvOS 12, users can securely AutoFill passwords from iPhone and iPad to Apple TV to easily sign in to Apple TV apps. Additionally, the Apple TV Remote will be automatically added to Control Centre on iPhone or iPad for Apple TV users, giving users quicker access to Apple TV controls. The update will also bring with it some new Aerial screensavers. Apple, in collaboration with the International Space Station National Lab and the Centre for the Advancement of Science in Space, are adding brand new aerials shot from space by NASA astronauts to the device. These aerial screen savers will also be more interactive, allowing viewers to see the location information and swipe between dozens of beautiful aerials. With tvOS 12, Apple TV 4K will also be the only streaming player both Dolby Vision and Dolby Atmos certified. The tvOS developer preview is now available for Apple Developer Program members at developer.apple.com. For more information, visit apple.com/apple-tv-4K.